Nothing new here — this post talks about matcha, again! … But for all of the matcha lattes in NYC, my favorite green drink is few and far between in Upstate New York (our hometown). I was looking up where I could find matcha in the area, and saw that Saratoga Tea & Honey had one on their menu! So there we went! Before we grabbed a latte, we went straight to the back to see their “Honey Room.” It’s just how it sounds, a room with jars of honey everywhere! You can taste all of their varieties which was so fun! I love honey in my tea, yogurt, and smoothies, but for some reason don’t like to eat it plain — so I wasn’t jumping up and down at the chance to sample tons and tons of honey. One day while picking up some groceries at Whole Foods, we noticed that their Allegro Coffee Bar was serving up a bunch of matcha drink options. 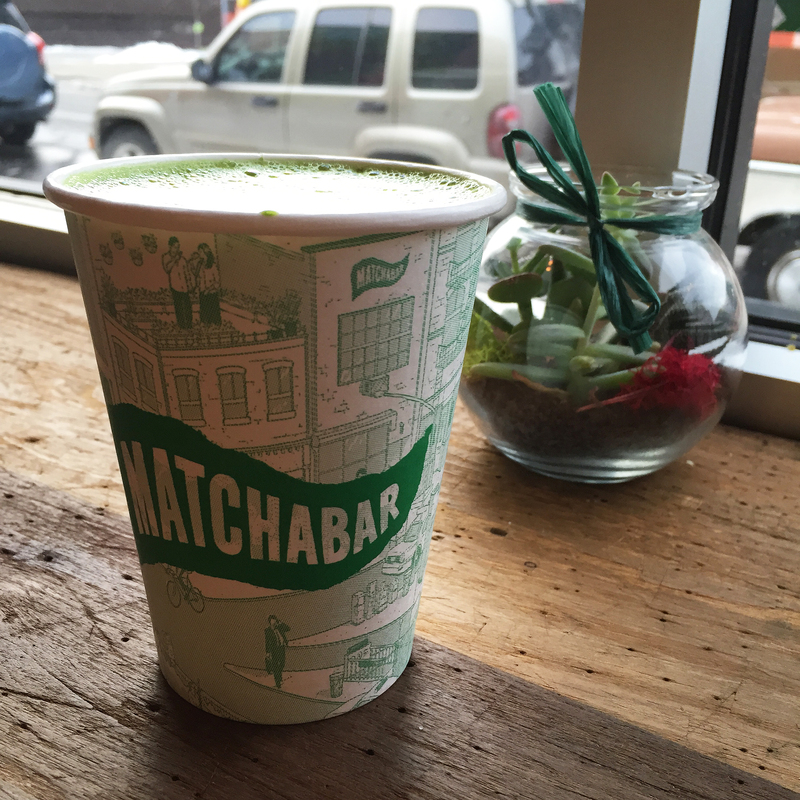 I’m not sure how we missed this before, but once we spotted a Matcha Chai Latte on the menu we knew we had to try it. So on our next visit to Whole Foods we both got a Matcha Chai as well as a few cookies to split! We thought the drink was excellent and refreshing! Chai and matcha have such distinct flavors, but they ended up working great together. We both tend to prefer iced matcha drinks, so this will definitely be a go-to drink as spring approaches. I’ve expressed my love/obsession for matcha in numerous posts, so when we heard a new ALL MATCHA EVERYTHING MATCHA place was opening, we were so excited to go! Not only does Cha Cha Matcha focus on the greatest drink/flavor ever, but when we saw photos of how cute the place was, we were sold! We headed there crossing our fingers to find seats on a Saturday afternoon (this place gets crowded) and strolled right in to find adorable bench seating available! 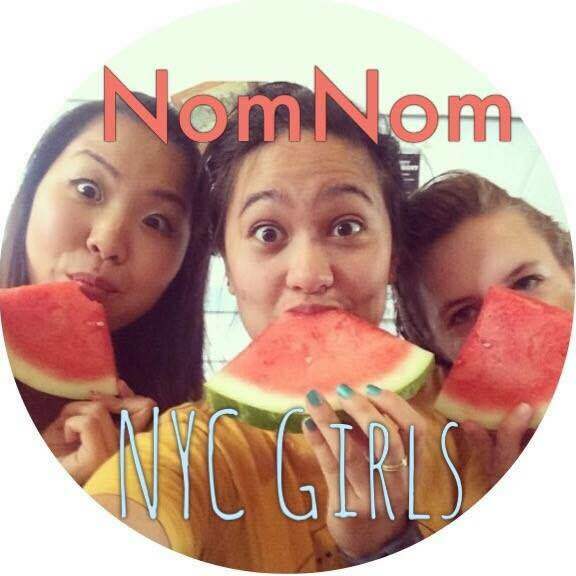 For today’s feature it’s all about food and since we are always looking for the best food in NYC ourselves, we thought who better to talk to than the girls of the food Instagram @NomNomNYCGirls?! We absolutely love their photos and by looking through their Instagram found so many places we want to go to! They’re constantly trying new foods so make sure to check out their Instagram to find some food inspo and plan your next meal out! They were awesome enough to do a video for us about how they got their start and they even shared some of their favorite restaurants in NYC so watch it below!